Welcome to my Squirtle, Wartortle, and Blastoise collection. 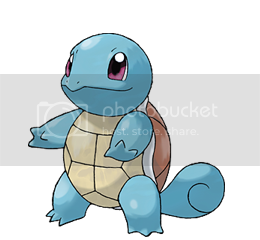 I like all of the original Kanto starters, but Squirtle was my first Pokemon ever (Red Version) and ultimately it's still my favorite... Since they're starters from Gen I, they have a TON of merchandise. Some of it is super cheap, and some of it is super rare. To make things easier, my Blastoise collection is divided into two sections. 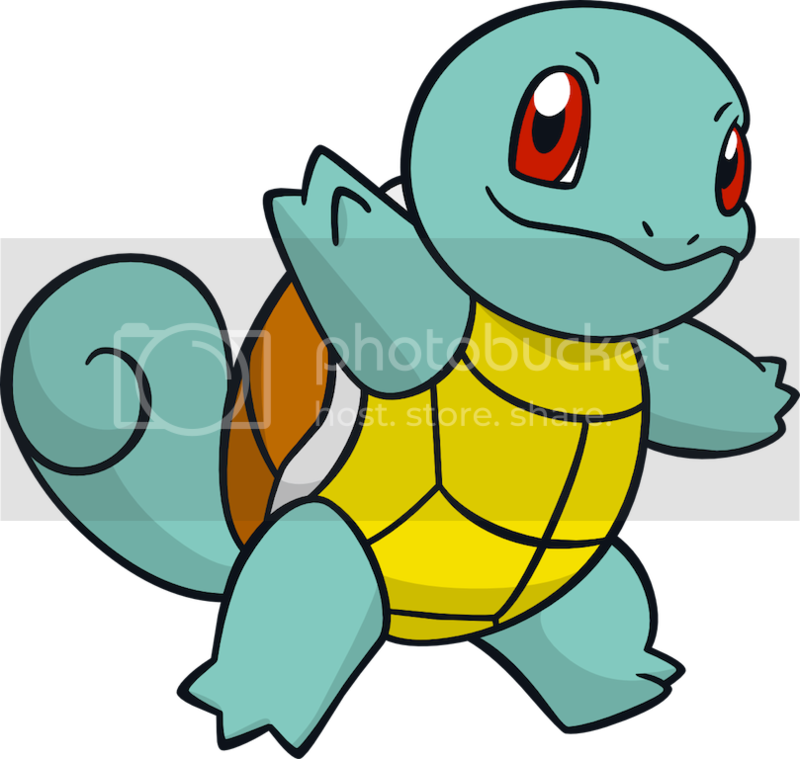 Squirtle is a bipedal turtle pokemon. When young, their shells are still in the process of hardening, but will soon become very resilient to harm. The round, grooved shape of their shells makes them very fast swimmers. When threatened, they can withdraw into their shells, and strike out at any opportunity. Young turtles are known to powerfully spray foam or bubbles from their mouth, while older ones can also shoot blasts of water. These defensively-inclined pokemon like to live near the water's edge. 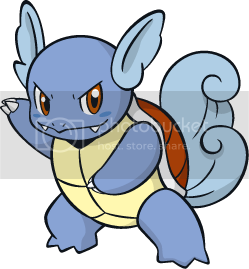 Wartortle have fur on their ears and tail. The ears are used like rudders to help maintain balance while swimming. The long tail, with its thick, deeply-colored fur is known as a popular symbol of longevity. Scratch marks and algae on this pokemon's shell are seen as signs of their age. 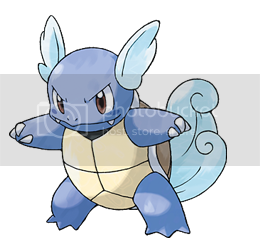 It is estimated that Wartortle can live for 10,000 years. 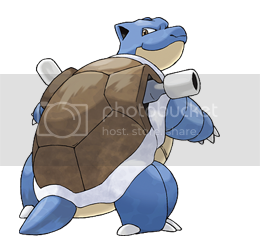 Blastoise is a powerful turtle pokemon, whose shell conceals twin cannons capable of firing water with enough force to blast holes through thick steel. These cannons can even shoot bullets of water with enough accuracy to hit tin cans from a distance of over 160 feet. This pokemon's pressurized water jets can also be maneuvered and used for boosts of speed and tackles. They deliberately try to gain more weight in order to better withstand the recoil of their attacks. 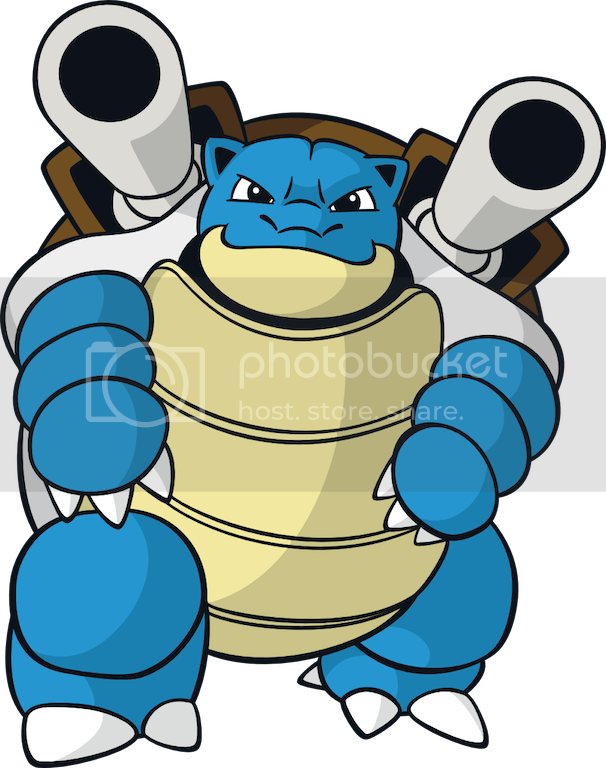 When in danger, Blastoise can withdraw inside their shells for protection.